We're spreading the RAYA cheer with GREAT DISCOUNTS!! Starting 1 August 2014, grab a minimum of 10 sheets of patterned paper for JUST B$10 and enjoy up to 40% OFF selected embellishments! And that's not all - for every B$100 nett that you spend, we'll give you a voucher worth B$20!! Such great deals that you don't want to miss :) This Raya offer ends on 14 August 2014. Terms & Conditions apply. 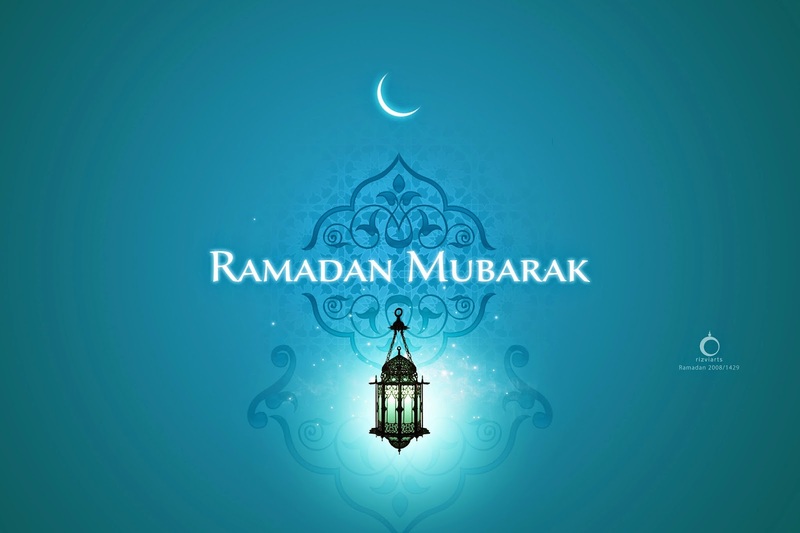 Wishing all our Muslim friends and scrappers a blessed month of Ramadhan. Please continue to follow our Facebook page for great offers and new arrivals to come! Can you believe that we have already turned SEVEN?!!? Enjoy 30% off all embellishments, albums and wooden alterables (buy more than 5 items and receive an additional 10% off! ), 20% off all tools and mediums; and our patterned papers are at a low, low price of B$1 each (minimum of 10 sheets)! This fabulous sale is on NOW and ends on 30 November 2013!! *YIKES!!! * Has it been THAT long since our last post? So let's recap a little since we our last post. We wrapped up 2012 with spectacular classes by Anna Dabrowska and Janine Koczwara (who flew in from Poland and Australia respectively) for the first ever PRIMA ASIAN TOUR. We can't thank them enough for all that their stunning techniques and ideas that they have shared with us - and we'd also like to thank those who attended. I'm sure you all had a blast and here are some pictures taken during the tour. The CHA Winter 2013 kicked off a little earlier than usual and very unfortunately, we were not able to attend the show. Since then, we've been on the edge of our seats awaiting the new releases from the show and they definitely didn't disappoint :) Take a look at what's in store right now! We hope to see you soon and have an awesome weekend! We wish to inform you that we will be closed at an earlier time of 6pm today and normal business hours will resume on Thursday, 27 December 2012 at 10.30am. And on Monday, 31 December 2012 - we will be closed at 6pm and normal business hours will resume on Wednesday, 2 January 2013 at 10.30am. CHA Winter '13 begins in early January so be on the lookout for all wonderful scrapping goodies!! On behalf of all us here at Shabby Chic, we wish you all a very safe and Merry Christmas and Happy New Year! YES!!! We're finally soooo excited to spill all the details about this much loooong-awaited event! Prima approached us a few months ago asking if Brunei was interested in having Janine and Anna over and my immediate reply was, "OF COURSE!!!!"! And what perfect timing it really is as we will be celebrating our SIXTH anniversary next month - WOW!!! We're truly sorry to have kept you waiting for so long but scroll down for all the class and "Early-bird" details!!! 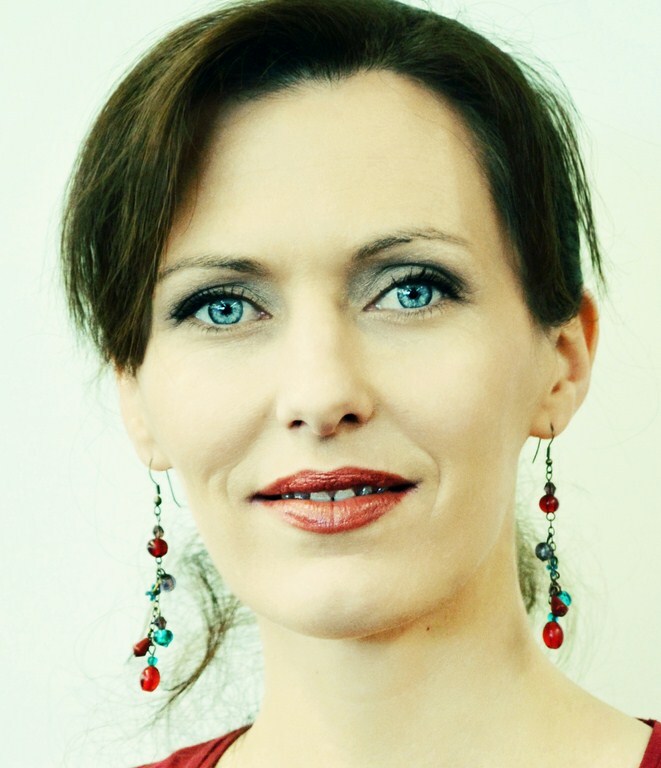 Anna Dąbrowska - Pękocka, also known as Finnabair (pronounced Finavar) lives in Warsaw, Poland. She is a woman of many interests: a mixed media artist, scrapbooker and art journaler who loves new challenges, experiments and developing new techniques and skills. 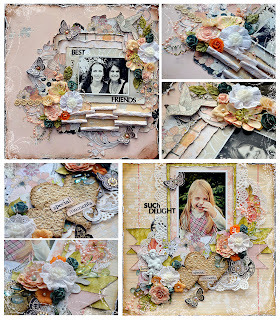 She's been creating since 2007, started scrapbooking in 2008-2009 and mixed-media in 2009 when she got totally addicted. During this time she's participated in group projects such as challenge and inspirational blogs (also as a founder), artist swaps and charity events.Her projects are mostly media-based: she makes paper and canvas layouts, collages and altered art, tags, journal pages – and many more. Finnabair believes in power of recycling and upcycling and just adores, texture, paints of any kind and flea market supplies. Some of her collages were shown on 2 group exhibitions in local galleries and her projects were displayed on the shows organized by Craft & Hobby Association in USA. Anna is a full time designer and artist and as a traveling teacher she offers a range of her own mixed media-based classes in collage, scrapbooking, art jouraling and more. She creates as a freelance designer for scrapbooking magazines (from Russia, Sweden, USA, Great Britain, Germany and France) and international shops. She designs projects and supports such international brands as Prima Marketing (design team member since 2011), Sizzix UK (design team member since 2012) and 7 Dots Studio (design team coordinator and product designer since 2011). Journals are best friends of creative people: they love experiments and new techniques, they are good listeners and always have time for you. You can take them wherever you go. Journals are never in bad mood – and they never say that your project is not good enough or not creative. Working in journal is fun, easy... and liberating. There are no strict rules, no boundaries, just freedom. All the meanings and the ideas are taken straight from the heart: you can realize all the crazy plans simply because it is YOUR Journal and you create just for yourself... and let making the cover of your new friend – journal – be the first step! 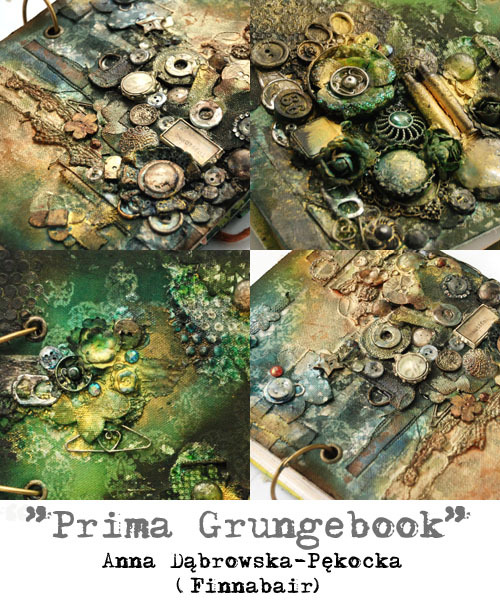 During this class we'll paint and embellish Prima mixed - media book using sprays, paints and gel mediums - I will guide you to create your own, personalized cover. I will share my favorite techniques including using found objects and Prima embellishments, creating and textures, colored with various paint product from well known brands. I’ll demonstrate possibilities of mixing different medias, scrapbooking supplies and found objects to get layers, details and unique, grungy look. It's pure fun – and a promise of even more great moments with your new Art Journal! Grunge is a style, which is, in my opinion, the essence of creative fun and freedom: you can put almost everything on your project and be happy with the effect you got. You may give as much or as little elements as you want, you may use medias and inks… Grunge is usually considered as “boyish” or “men” style, but I'd like to convince you that it also as the more feminine, crazy, eclectic side – let's call it “industrial baroque". During classes I will try to convince you that creating a grungy, eclectic layout is not hard at all - and the only boundaries you have are those made by your imagination! I will make you look again at your embellishments and how you possibilities of using everyday objects as a part of your composition, giving them the uniqueness, personal touch and grungy style. I will show you finished projects and share my experiences from the creative process. On each class I will create with the students a full size layout including products from well known manufacturers and demonstrate possibilities of mixing different medias, scrapbooking supplies and found objects to get baroque look of your project. 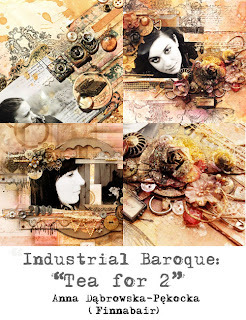 "Industrial Baroque" is a perfect combination of fun, experiment and playing with composition, color and texture. 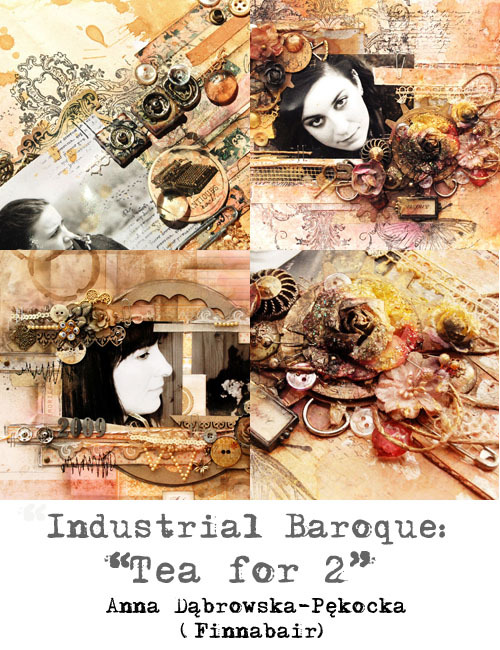 "Tea for 2" is a paper based mixedmedia class with layering, stamping, sprays, tea stain and a touch of metallic paint toghether with a wide selection of inspiring embellishments which will provide not too heavy, but the very "vintage" look of the project. 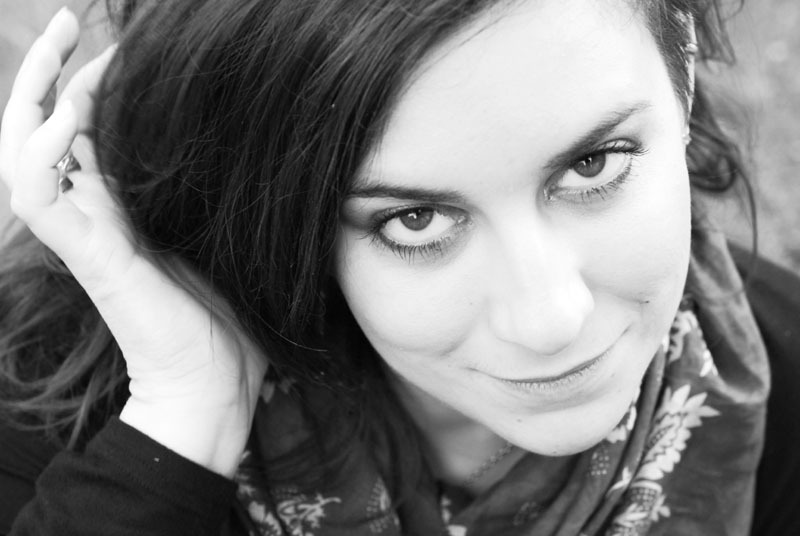 Hi my name is Janine Koczwara, and I am from Adelaide, Australia. I have been scrap obsessed for 9 years now. It was my husband, Paul who suggested I should get a hobby, however I don’t think he anticipated the passion I would develop for scrapbooking! I have 5 children, Lachlan 14, Cameron 12, Ethan 9, Kaitlyn 5 and Ashton 3 who all feature in my pages. I am currently a Prima Endorsed Educator and prior to that was part of the Prima Design Team for 3 years. I have been privileged to be a DT member for For Keeps magazine in 2005 and again in 2007. Then in 2009 I won a place on their Elite Team. I have been published in For Keeps, Scrapbooking Memories, Scrapbook Creations, Australian Stamping and Papercraft (all Australian magazines) as well as magazines in Sweden and Russia and the online magazine Scrapstreet. . I have also been on the, Aussie Scrap Source Design Team (Australia’s premier wholesaler) and Chatterbox Design Team and I am a Co-founder of The Color Room, an inspiration site for scrapbookers. I have been teaching scrapbooking for over 8 years, and love the opportunity to share the techniques I have learnt along my scrapbooking journey as well as meeting the wonderful people in my classes. My style is best described as Shabby Chic, and is extremely layered and feminine and I love to show people how to re-create all those beautiful layers in their pages. Janine loves to create interesting features to her pages that draw the eye in and add texture to the overall design. In this class she will show you a couple of her favourite techniques as you complete two stunning, feminine layouts. You will be learning how to use your Prima distress tool to create loads of shabby chic edges as well as a gorgeous distressed rolled paper technique that adds real punch to your page. On the other layout she will show you her fun way of creating lace textured hearts that is so easy and striking you will want to try it over and over again (and a great way to use your Prima packaging). Both layouts will feature Janine’s trademark layered style, tips on how she mixes and matches her colours and papers, as well as those fussy cut elements to get the most out of your papers. Prima’s canvas albums are the perfect start for a beautiful mini album and Janine teams it up with Primas new Firefly collection for the most stunning colour combination in this album. You will cover some fun techniques including partial resist gesso masking, Janine’s favourite technique with napkins, creating fun curled layered hearts for embellishing, quick ways to make a storage pocket for memorabilia and how to finish off your album spine with a gorgeous shabby muslin trinket technique. Janine will also share her tips on how she approaches the task of creating minis to take the pressure off when designing each page, so it comes together quickly and easily! SIGN UP AND PAY IN FULL BY FRIDAY, 9 NOVEMBER 2012 TO ENJOY GREAT SAVINGS AND MORE! WE'RE ABSOLUTELY EXCITED AND TRULY CAN'T WAIT! DON'T MISS THIS WONDERFUL OPPORTUNITY TO MEET AND LEARN FIRST-HAND FROM THESE WONDERFUL DESIGNERS!! COME BY OUR STORE NOW OR FOR MORE DETAILS, PLEASE CALL US AT 898 2281. 1. Fees must be paid strictly by CASH ONLY and are NON-REFUNDABLE. 2. Seats will only be confirmed upon full payment of class fees. Strictly NO RESERVATIONS are allowed. 3. If you are unable to attend the class, you may offer your seat to a friend. 4. No discounts or stamps will be awarded for class fees.